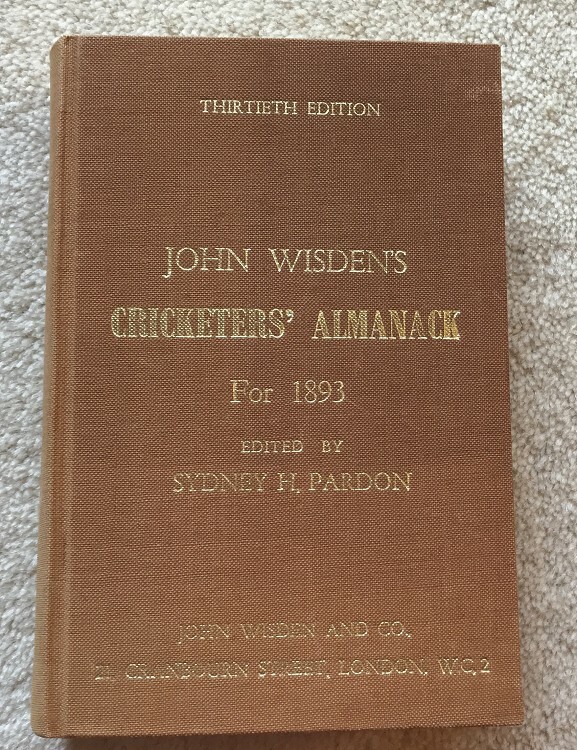 This lot is a 1893 Rebound with Covers Wisden, in very good condition. The baords have writing to the frotn and spine, not a publishers rebind but similar text. The front cover has a touch of wear and the rear cover has a touch of darkness but both very good for their age. Internally nice and clean, a touch of spotting around the page block but otherwise very clean inside.